EFT: Was the Irish Responsible for Mary's Health Issues? Have you over wondered how much the family history might be impacting you and issues that you might have? 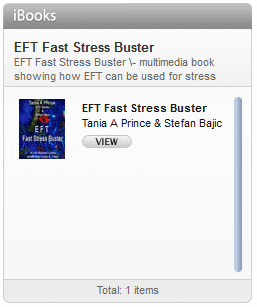 At the October EFT Masterclass Conference 2009, I worked on stage using the Deep State RePatterning (DSR) process. 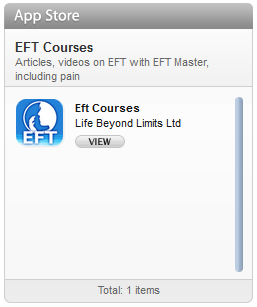 (DSR is a process that combines EFT with NLP). During the demo I had the two volunteers imagine (go back to) events they sensed were connected to their current issues. We then began to tap and clear the emotions from the ancestral events. Last week I spoke with Mary one of the volunteers about what had happened after the work we did on stage. She very kindly sent me this email. 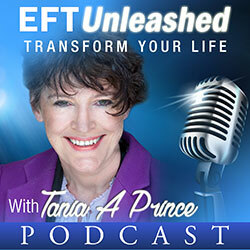 “During my session on Deep State Repatterning (DSR) with Tania Prince at the EFT Masters Conference 2009 I had the experience of being with ancestors of mine who had been in a series of traumatic, life threatening situations. I empathized with a great, great grandfather who seemed to have the responsibility for the survival of his family and I experienced his panic and despair when he thought they may not survive. This was enlightening for me and resonated with my life because I have been aware of an underlying, unconscious ‘driver’ in me and my family which manifested as fear of an unknown, and hyper vigilance. Although I have tackled many of my issues with EFT and other therapies over the years I would still find myself with shoulders hunched and tightness in my chest. However since my session of Deep State Repatterning I feel liberated from this burden and can appreciate the many gifts my ancestors have passed on. I believe that DSR helped me to get to the root of my ‘survival driver’ and using EFT released it for me and my ancestors. The next Deep State RePatterning Training will be on the 22/23rd May in Manchester, England.